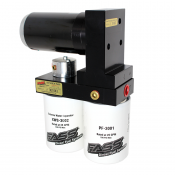 WHAT IS FASS FUEL AIR SEPARATION SYSTEM? 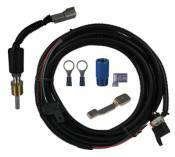 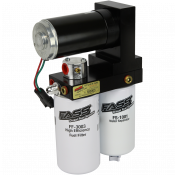 FASS stands for Fuel Air Separation System and is a combination diesel fuel lift pump and fuel filtration system that is designed to improve your diesel truck’s fuel mileage, engine performance and extend the life of your diesel injection system. 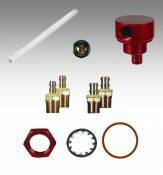 Our diesel fuel pump and diesel fuel filters are made in America in order to provide complete customer satisfaction. 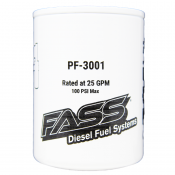 Regardless of the vehicle you drive, and how you power your life, FASS diesel fuel systems provide the cleanest fuel in order to extend the life of your favorite truck. 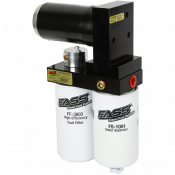 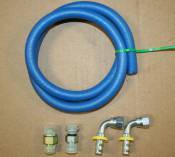 FASS accessories such as filters, waters separators, pick-up tubes, wiring kits, mounting kits and much more are all here. 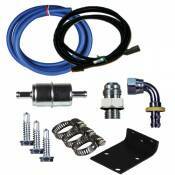 Description: Prevents 1/4 tank fuel starvation issues. 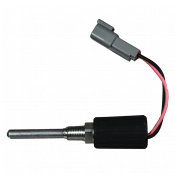 Increases pump performance. 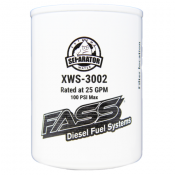 Description: 3 Micron Fuel Filter for FASS Heavy Duty 150 Series.